Find the best fishing spots and cast with confidence. Fishidy is the only fishing app powered by Fishing Hot Spots® - a trusted name in the industry for over 40 years - and provides the most comprehensive and reliable fishing maps available. Get access to extensively researched fishing tips and techniques specifically tailored to the top fishing destinations in the U.S.
You're only a few taps away from joining over 1 million Fishidy members who are having more success on the water! • Fish habitat: reefs, rock piles, cribs, etc. 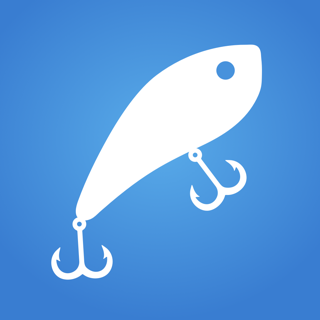 "The Fishidy app is simple and user-friendly, but enables you to eliminate guesswork whilst keeping fishing exciting." A premium subscription is available for $9.99/month or $49.99/year. Your subscription will automatically renew unless cancelled at least 24 hours before the end of the current period. You can manage your subscriptions through iTunes after the purchase or by tapping on 'Manage Subscription' in the Fishidy app. You can disable auto-renewal at any time. - Updated Mapping Library to support better security. - Major UI/UX enhancements and new features are on their way! Want to report a bug or suggest an improvement? Send your feedback to support@fishidy.com. I absolutely love my Fishidy app. I have the premium service and utilize it to prepare my fishing trips to bodies of water that I have not went to before, as well as bodies of water is that I have, when I am searching for new places to target. You get fishing hotspots, mapped underwater structures, date and species filters, advance fishing forecasts, and more! You just can't beat it. Fishidy is the best. Fleury, we're happy to hear you're loving FIshidy - thanks for the comments! Well,I just downloaded this app. and find it pretty cool. I’ve loaded up my profile and added a fish caught in late December. I’ve searched for several different fishing locations that are part of our DNR rec fishing areas. They were not available in your data, these are sites pretty well fished so they they should be able to be found in your search box. Trizzle8965, thanks for the feedback! Send an email to our customer support team at support@fishidy.com and we can take a look at adding specific waterways for you. Thanks! The detailed mapping is very helpful when my go to spots are not working or I'm on a new body of water. I also like to log my catches quickly and then use the website later to fill in all the details. Love the social features as well. We're happy to hear you're enjoying Fishidy, thanks for the feedback!